The Nvidia GeForce GTX 285M SLI is a graphics solution that combines two Nvidia GeForce GTX 285M with an SLI connection. As not every game supports SLI efficiently, the performance increase compared to a single card is only about 0-40%. The most frequently used technique is Alternate Frame Rendering (AFR), where each card take turns rendering a frame in an alternating manner. Therefore, the SLI solution may suffer from noticeable micro stuttering at frame-rates between 20-30 fps (due to display irregularities between each rendered frame). Each of the two GeForce GTX 285M is based on the G92b core and is therefore produced in 55nm. It features the full 128 pipelines of the G92b core and is therefore comparable to the desktop 9800M GTX+ and not the desktop GTX 280. 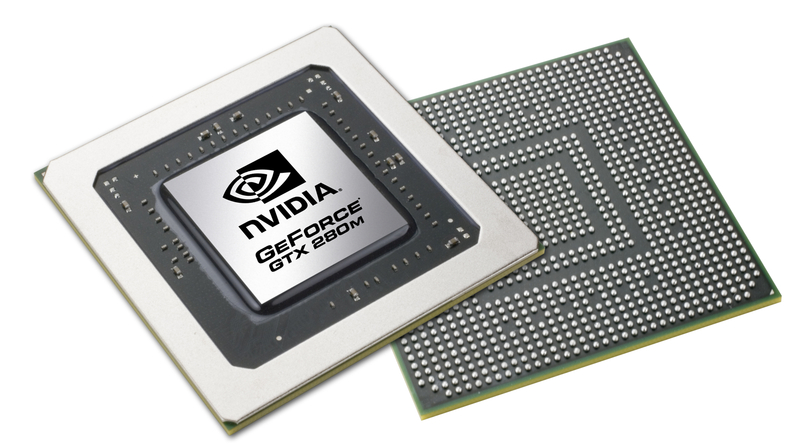 The Nvidia GeForce GTX 285M SLI in laptops with Core 2 Duo CPUs is bundled with the GeForce 9400M G chipset and therefore supports HybridPower (if the manufacturer enables it). With HybridPower, both GTX cards can be disabled and only the chipset graphics core can run, leading to improved battery life (and possibly less fan noise). Modern Core i7 laptops are using an Intel chipset and do not support HybridPower. Since there are two GTX 285M cards active in SLI, the electrical current consumption and exhumed heat are about twice as much as what a single GTX 285M can produce. Due to the large power and cooling requirements, this SLI combination can only be found in large DTR laptops (like the Alienware M17x).